This festival is set to be the largest three-day imaginative, outdoor adventure for kids and families like no other! 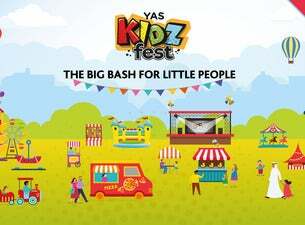 Designed with kids in mind and curated with love and imagination, the Yas Kidz Fest will host endless activities that the little ones can get involved in. Whether they like to get creative, dance, explore, discover, cook or just sit and watch entertainment shows this festival has it all. Let your little ones dance their socks off in the Silent Disco, take centre stage in the Talent Show, cook like a king in the Little Chef Tent or enjoy a host of fun interactive activities! The festival is even home to the largest kids Play Town including bouncy castles, slides, face painting, treasure hunts, carnival rides and games, outdoor activities, mystical mazes, magicians, sand pits, messy play areas, and water play areas.